This is a non-recipe kind of recipe that I stumbled upon while browsing Pinterest. Yes, okay, I have a small addiction to Pinterest. Admit it, you do too. It's like crack. Not that I would know what crack is like, but I imagine it's like Pinterest in it's addictive qualities. awesomely delicious. I'm sure Joe Bastianich would disagree that this is worthy to be called Chicken Parm, but it gives you those same flavors. And, as I mentioned, it's awesomely delicious, so who cares what Joe says? So try this one out. 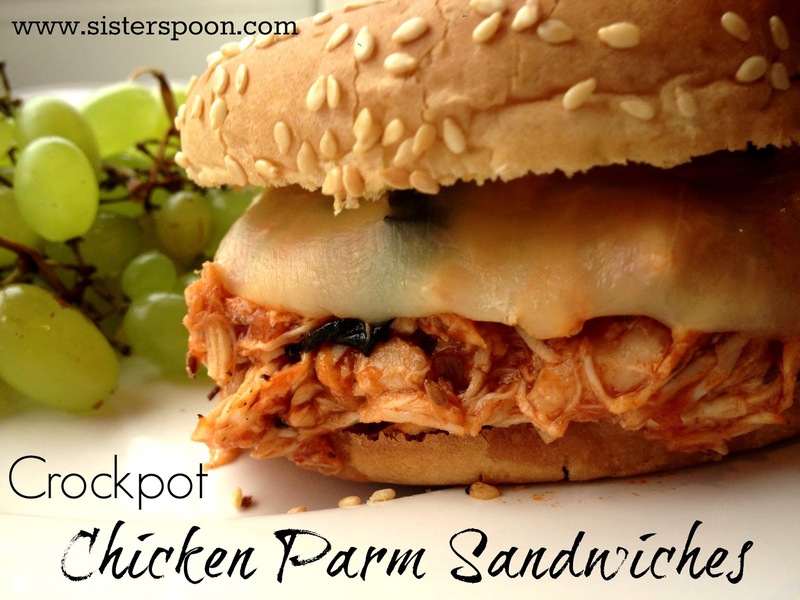 It takes about 30 seconds of prep, everyone loves it, it's a crockpot recipe and it's awesomely delicious. 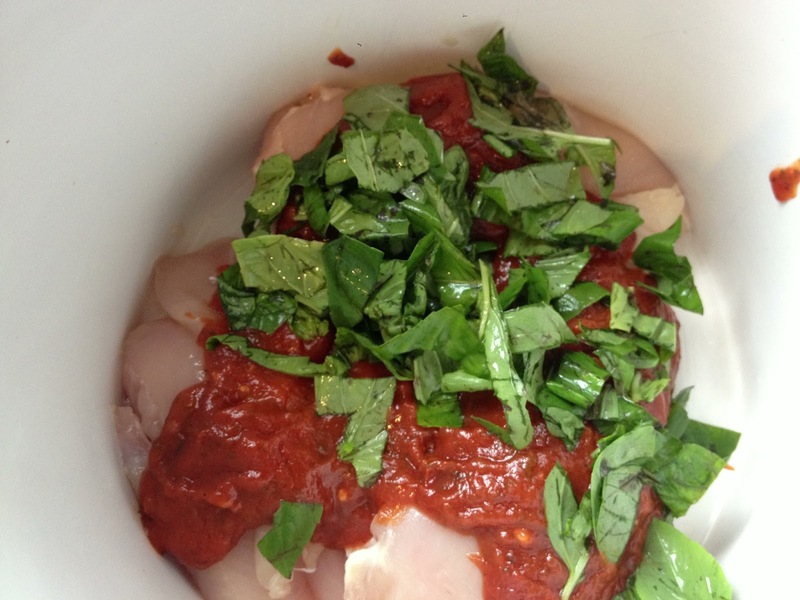 Now, you dump some pasta sauce in. Optional: Add some chopped basil like I did. Or spinach. Or nothing. Whatever. 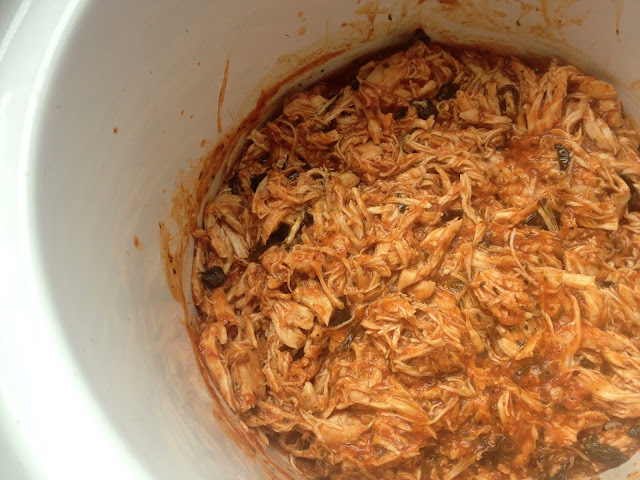 Put the lid on and turn on the crockpot. I did 4 1/2 hours on low. When the chicken is all done cooking, take two forks and shred the chicken up. The shredded chicken will soak up all the yummy sauce and make it all nice and moist. 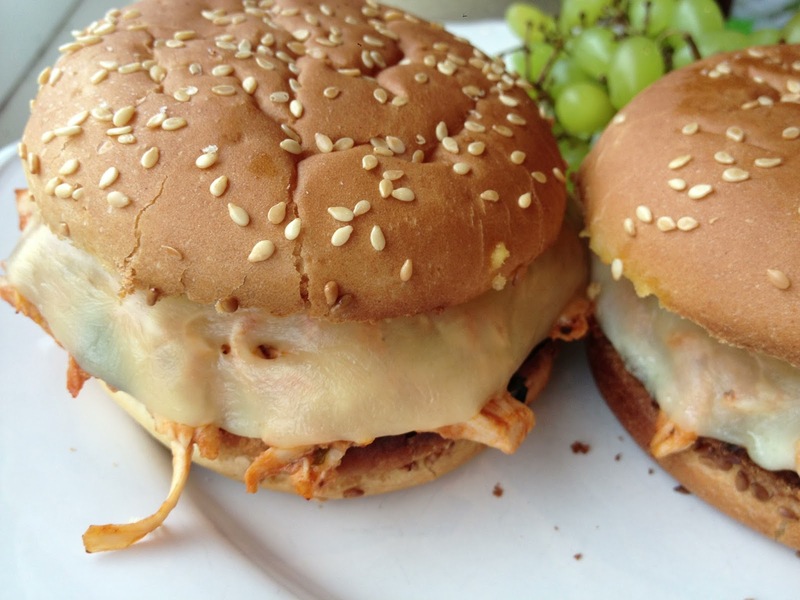 Grab some hamburger buns (I like mine buttered and toasted), slap some cheese of your choice on top, and broil a couple of minutes in the oven to melt the cheese. 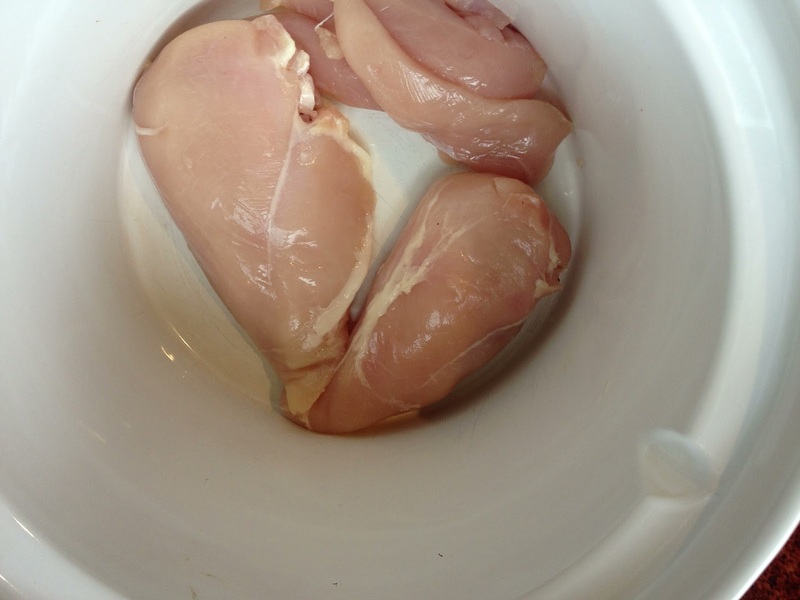 Place chicken, sauce and optional additions in the crockpot. Cook on LOW 4 1/2 hours. 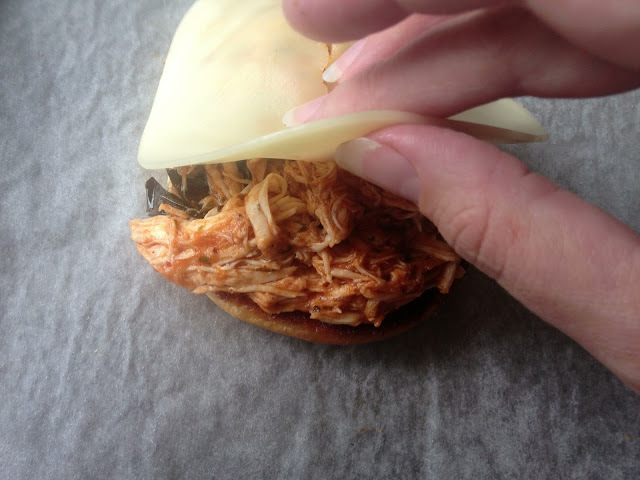 Shred chicken, place on toasted buns and top with cheese. Broil a few minutes until cheese is bubbly.
" It's like crack. Not that I would know what crack is like, but I imagine it's like Pinterest in it's addictive qualities." Best. sentence. EVER! Glad you're enjoying the blog! 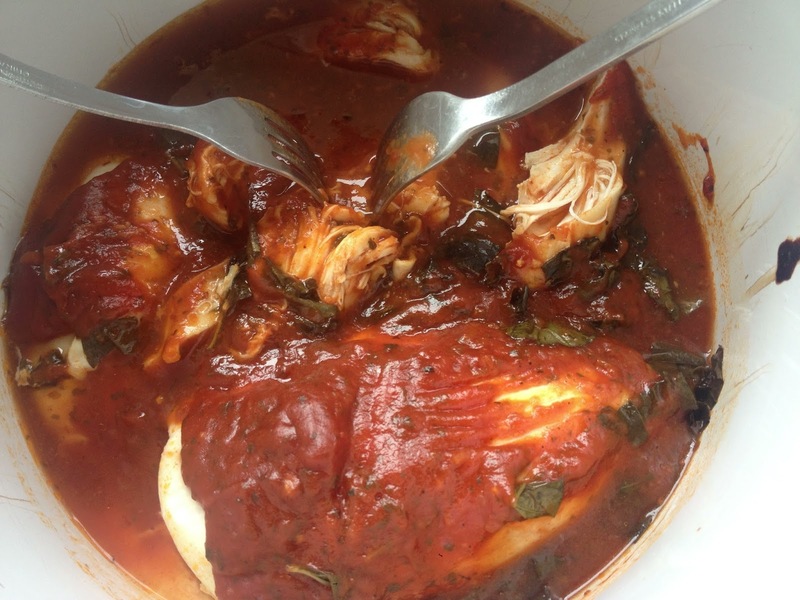 I like writing it as much as I like cooking the recipe.... thanks for reading!